A CB2 exclusive find for your home we love. 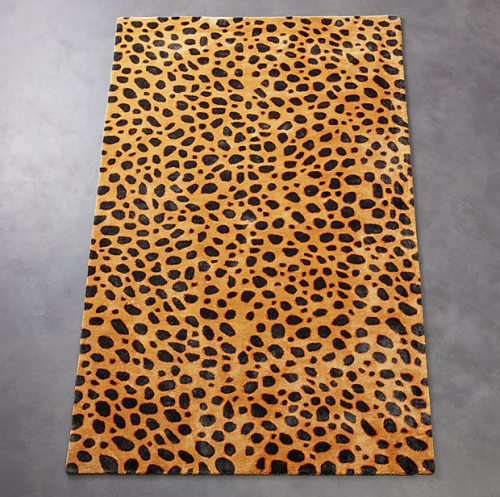 This warm, microprint cheetah pattern scatters across pure viscose rug. Designer Molly Fitzpatrick originally drew the pattern digitally, using varying spots to mimic a cheetah’s natural print and create motion and contrast. Viscose gives the rug a beautiful silky feel and unique hi-lo color sheen. If this is a must get for your home or workspace you can only go HERE to get.